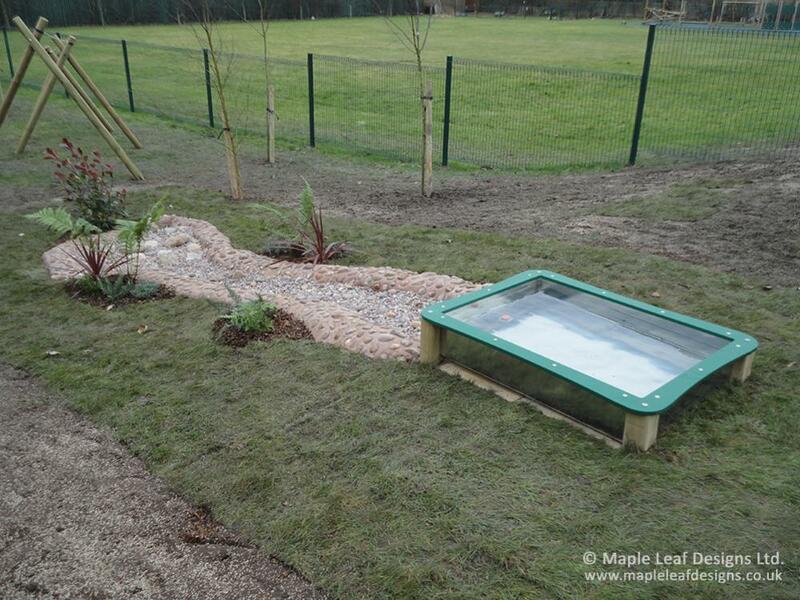 If you’re looking for a naturalistic element of water play in your forest school or natural play area, our River Bed Stream and Reservoir provides a fun solution. 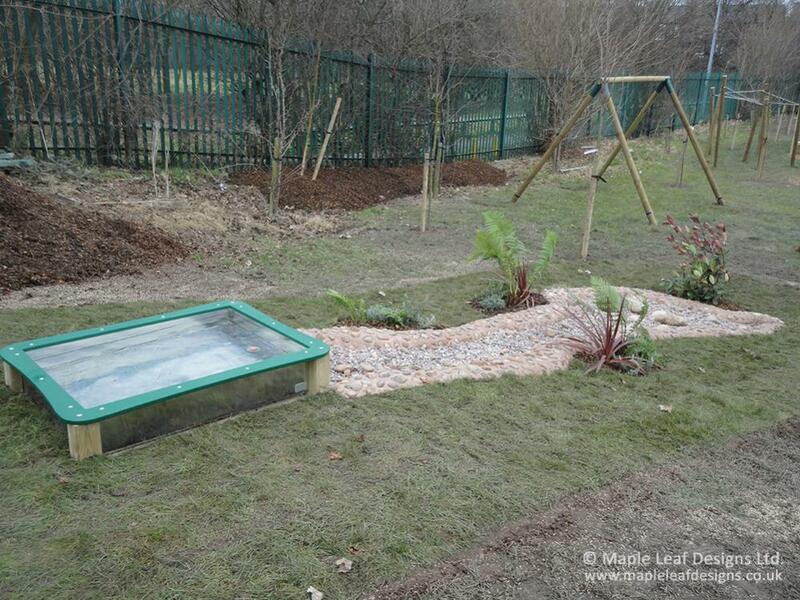 Simply fill the stainless-steel reservoir for your children to play with just as you would a regular water play trough, then when you’re finished, remove the plug to drain the water down the cobbled stream to the drain at the end. 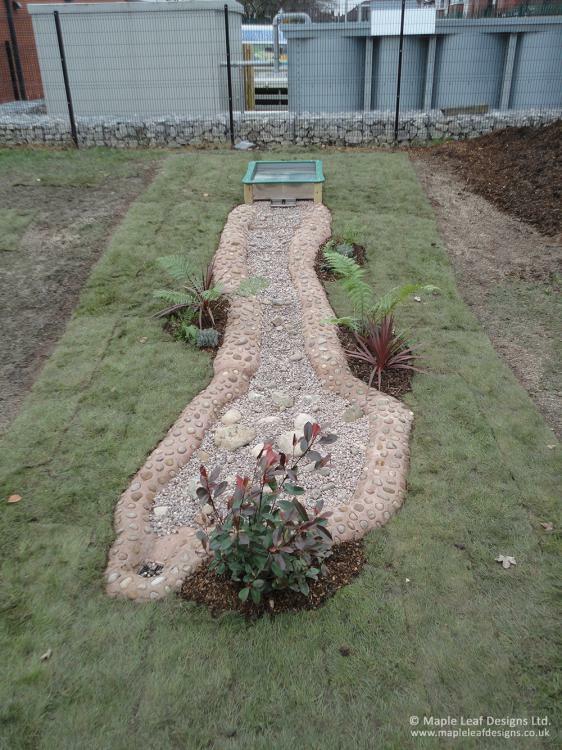 We design the stream to suit your individual play area, and can also customise the trough as necessary. 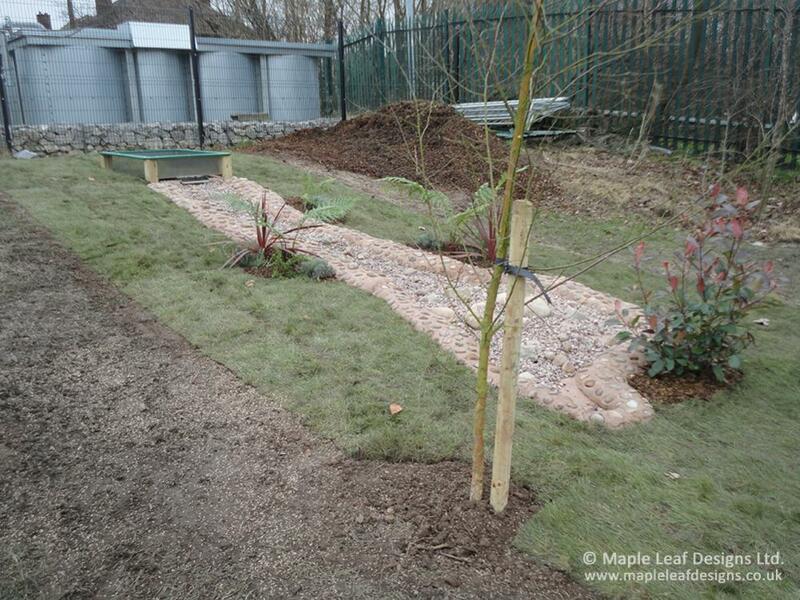 Stainless steel trough with HDPE edging.